Carlyn Lindsay Designer-Maker-Wood | Colourful, laminated wooden objects. Designed and individually handmade by Carlyn Lindsay. Colourful, laminated wooden objects. Designed and individually handmade by Carlyn Lindsay. The Forest of Dean Woodturners. See their website for times and directions. 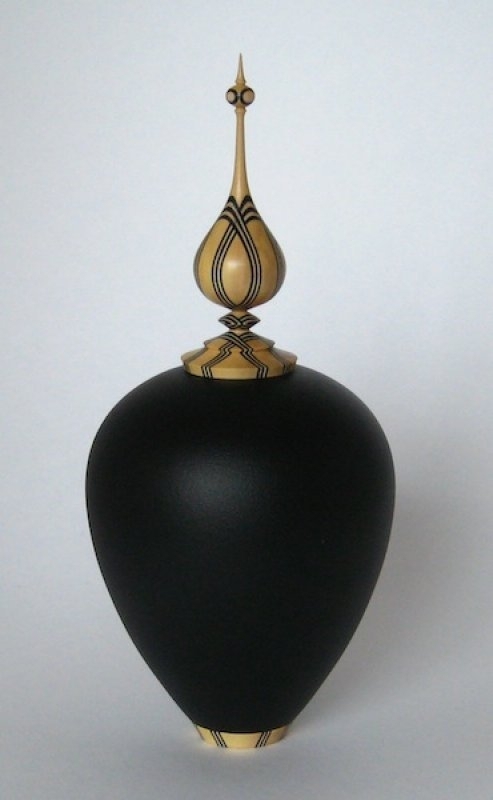 Carlyn is known for her striking laminated hand turned work. She uses coloured veneers and planked hard woods to create a range of exciting artworks. Her turned pieces are stylish, contemporary, functional, collectable, colourful, extraordinary, intriguing ……….Laminated wooden bowls, pots, jewellery, bottle stoppers, cheese knives and more……. Carlyn works with wood, metal and plastics. As a designer-maker she also makes models and props. Carlyn’s bespoke general woodturning service: Legs, spindles, knobs, finials, decorative parts, all made to your specification, copied to match (colouring and finishing too), or specially designed for you requirements. Just contact Carlyn by phone or email.